We have found that most people who are serious about sharing their message, want a book that makes a long term impact - helping them build a sustainable business and brand. If these are your goals, this course might be for you. 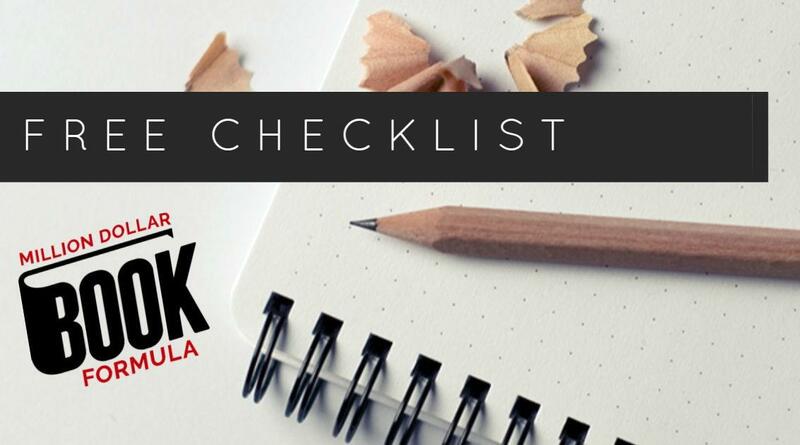 Get our FREE checklist covering every step of the writing, publishing and book marketing process! A single book changed the entire course of our lives and business. However, the thought of writing and publishing a book is overwhelming for most people. And, then there is the biggest concern: what if I spend all that time and energy (and money) but then the book never sells? It's a valid concern. We’ve seen hundreds of books roll out with great fanfare never to sell more than a handful of copies. You probably have too and that’s why you are worried. Well, that’s where Million Dollar Book Formula comes in. You must have a plan, a strategy, and know what you are doing before you write and then publish your book. “Publish. Hope. Pray” is not a strategy for getting out your book in a successful way. That's why if you are ready, we have a wonderful opportunity for you. Learn from two people who will teach you exactly what you need to know to achieve success with a non-fiction book. There are some things you must do, some things to make it wildly easier on yourself, and some mistakes you absolutely must avoid. And trust us, we know what those things are! We've been at this for 20 years. In 1998, we wrote and self published our first book. We sold 40,000 copies. Oh, and Amazon.com did not exist. Later on we wrote and published, Go for No! To date, we are at over 400,000 copies sold. So, if this all seems interesting, sign up below and we will let you know when the next Million Dollar Book Formula course is opening. p.s. If you have already written non-fiction, be sure to sign up, you'll love what we have to share with you. 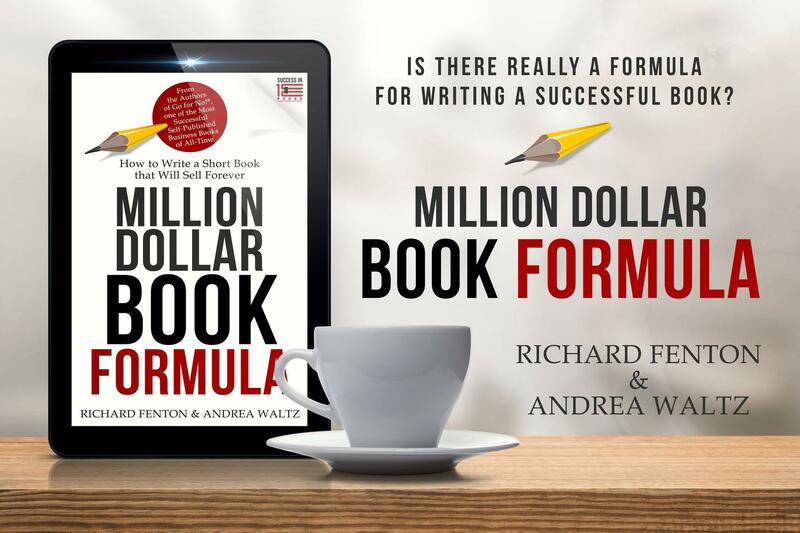 We just published our book, Million Dollar Formula which lays out the 13 key ingredients for writing a book that has the greatest chances to sell... forever! Visit Amazon.com to get the paperback or Kindle version. 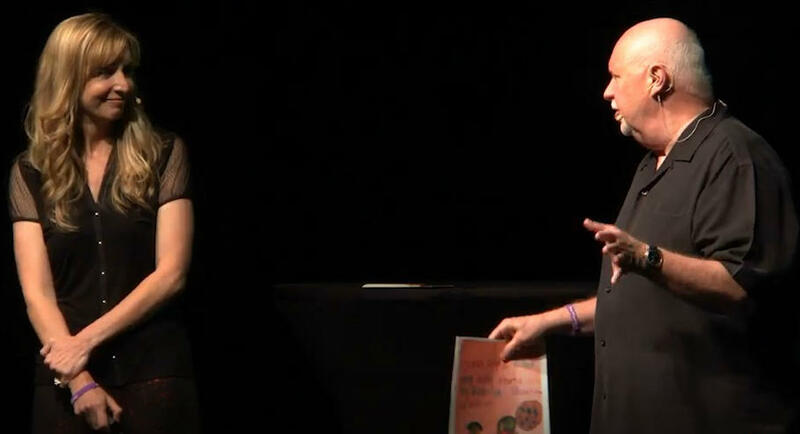 We are Richard Fenton and Andrea Waltz. We are a married writing team, professional speakers and commonly known as, the “Go for No” people because of our best-selling book. 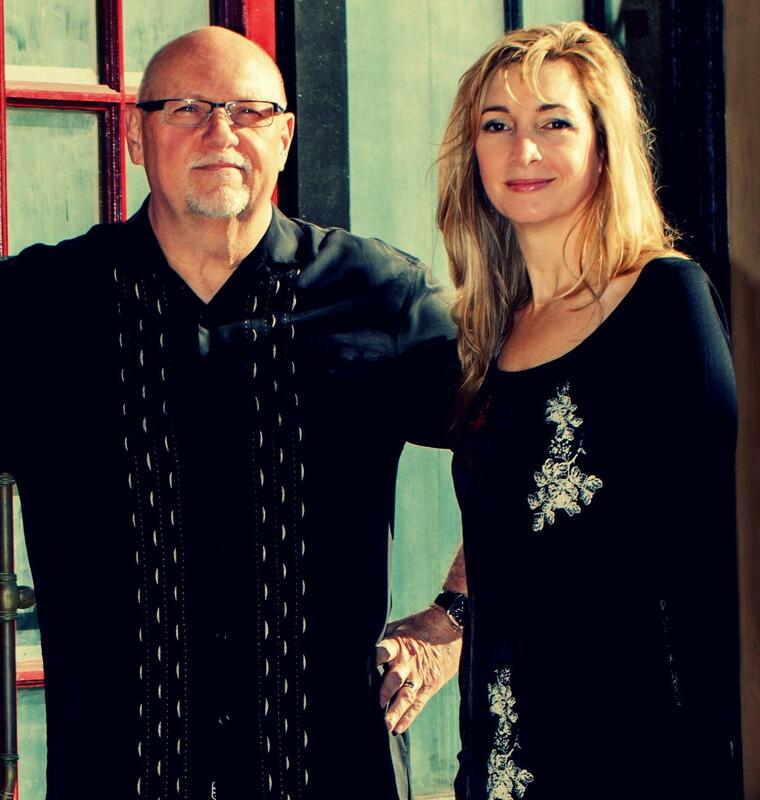 We’re the authors of just released book, Million Dollar Book Formula and the founders of Success In 100 Pages, a partnership publishing company. We love being entrepreneurs and the freedom that we’ve achieved thanks to writing and publishing our non-fiction books has been incredible. That's why we are sharing our Million Dollar Book Formula. By the way, if our story sounds "lucky" or "easy" we should tell you right now we had no idea what we were doing when we started. We made tons of costly mistakes and had some spectacular failures (don’t worry we will tell you all about those!) Along the way, through the successes and failures, we’ve collected knowledge and a depth of experience that you will not find with many other authors or trainers. That said, we've watched a lot of people release books over the last few years to die a quick death on Amazon.com. Sadly, without even reading the book we can pinpoint the few reasons why the book didn't succeed... and the reasons were totally avoidable. That's why we are so excited to have created this program. In 1998, we wrote and self-published our first book. It was the tool we used to launch our speaking and training business. We sold 40,000 copies. Oh, and Amazon.com did not exist. A couple years later, we wrote and published, Go for No! To date, we are at about 400,000 copies sold. 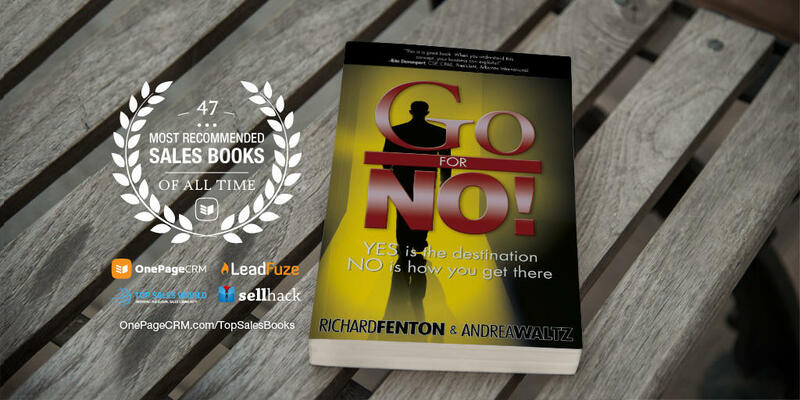 Since then we’ve written and published several other books and most recently, in 2017, the best-selling book, Go for No! for Network Marketing. We’ve been giving advice to people for years when it comes to writing and publishing books. But with growing our own writing and speaking business, we never had time to pursue anything beyond the casual consultation. 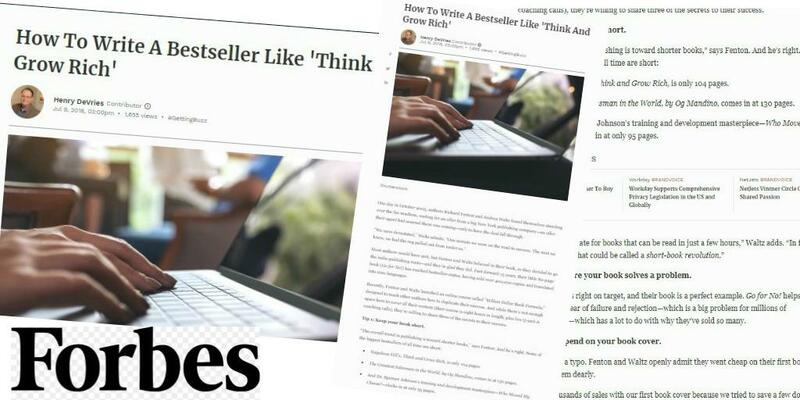 Book writing, marketing and publishing expert, Henry DeVries, released on article on Forbes.com entitled How to Write a Best-Seller Like Think and Grow Rich using a few of our strategies!